As Head of School, I have listened to so many people and their heartfelt viewpoints. All are expressive. A school develops a history – and the Board has determined after six years to share with all families an historical perspective, gleaned from interviews. This was not written by me – but it is shared to celebrate with great humility all that has been committed. As with all histories, there is a length but I do hope you find a quiet place, a restful time, to sit and digest the achievements of those who have given so much to generate the “greenest school on earth”. The story of Green School has all of the elements of a great story – dreams, passion, obstacles, disappointment, courage, commitment, joy, sorrow, laughter and tears – and it’s only just begun! As the story unfolds the dream is fast becoming reality. The new reality offers exciting new possibilities in education, and is redefining our perception of schools and their place in society. 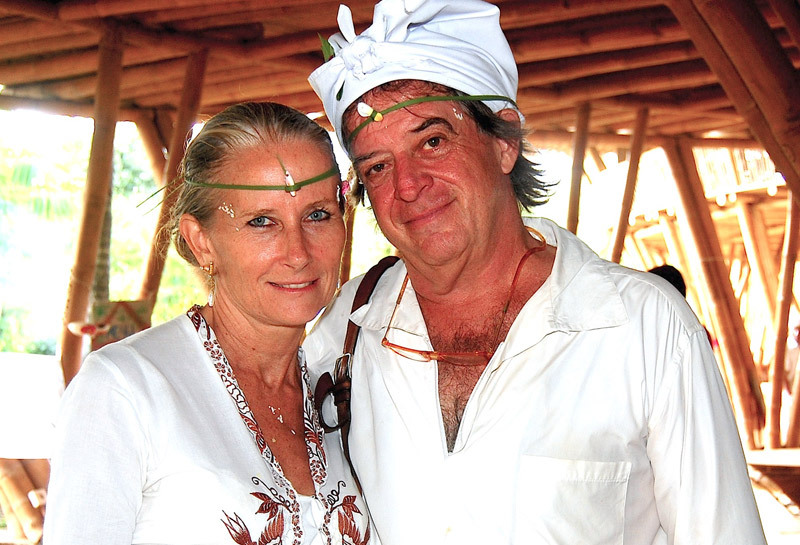 The story starts with John & Cynthia Hardy, blessed with many talents and a great love for Bali. Together they possessed all the characteristics of the quintessential entrepreneur. John’s mind overflowed with creative ideas and he had an endless supply of passion and the ability to visualize solutions ahead of their time. Cynthia is John’s own Dewi Saraswati. In Balinese Hindu mythology she is the goddess of learning and perseverance and the perfect compliment to Shiva. Just as Dewi Saraswati is depicted as having many arms, Cynthia’s perseverance, patience, intelligence and people skills were the perfect compliment to make John’s ideas real. With fearless dreams and unrelenting perseverance John and Cynthia created a life of abundance. As a boy John had wanted to become a fireman but being an undiagnosed dyslexic he didn’t pass the entrance test. John learned early on in life that the only way for him to excel was to form partnerships with people who had the necessary skills to manifest his dreams. He consciously developed the ability to attract people who have the missing pieces of the puzzle and together with Cynthia’s organizational skill set, this proved to be the perfect formula for the Hardy’s success in Bali. Balinese people had lived in harmony with their island and with the cycles of nature in a complex social system for thousands of years. 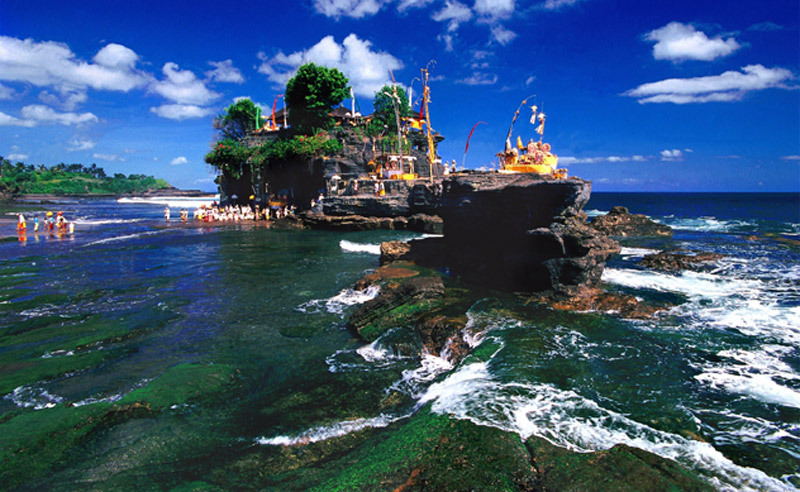 As the influence of the western globalization increased, threatening the bonds of Balinese society, wealth and poverty began to live side by side. Life in Bali taught the Hardys that we’re all part of a complex ecology, and that harmony within the system is a prerequisite for sustainable success. Confronted by the contrasts found within Bali, where poverty and wealth can exist on the same street, John and Cynthia developed close and lasting connections with local Balinese people. The Hardys cultivated local knowledge, skills and wisdom in everything they did, appreciating the strength of cultural heritage and the importance of connecting with nature. This path led them to a passionate interest in sustainability. Creativity often springs from the confluence of disparate ideas and events, and such was the case with Green School. The Hardys’ daughters had been happily homeschooled until one fateful day in 2005 their trusted Steiner teacher suggested it was time for the girls to go to a ‘real’ school. John wanted the girls to attend a school that he believed in, a school that he would want to attend, and he wanted to stay in Bali. When he read Alan Wagstaff’s “Three Springs” he was so inspired by the dream that he wanted to build it in Bali. Then one day, in 2006, John and Cynthia saw Al Gore’s ‘Inconvenient Truth’ and it changed their life. They were compelled to take up his call to action. These events gave the Green School plan its reason and purpose, and in August 2006 John and Cynthia decided to build the school. The Kul Kul School bamboo bridge, spanning 22 meters across the Ayung River, was completed In November 2006 creating a beautiful, strong symbol of the transition from the realm of idea to reality. The design concept for Green School was to create spaces without walls that would invoke the feeling of a Cathedral, with the conscious choice to use of beautiful, sustainable materials. The Heart of School would be a temple to both education and sustainability, and the spirals would symbolize inspiration found in the beauty and harmony of nature. Having not enjoyed school himself John daydreamed of beautiful, magical schools like Harry Potter’s Hogwarts. He knew that in ancient times schools had once been conducted in gardens where students would come to live in the houses of their gurus, to learn through living the life of the guru. He wanted Green School students to have that same magical experience – if their school was beautiful and made of soft, sustainable, natural materials it could become their reality and inspiration. In 2007 John and Cynthia sold their shares in John Hardy Jewellery, a global business employing 800 Balinese and Indonesian artisans. The Hardys committed to build Green School, setting up the Yayasan Kul Kul with their Indonesian colleagues to manage the school. Yayasan Kul Kul, the non-profit foundation established to govern Green School, is primarily responsible for ensuring Green School’s legal compliance and harmony in social relations. The Yayasan is uniquely Indonesian, unlike any Western legal structure. Yayasan Kul Kul, led by Ni Putu Tirka Widanti (Ika), manages Green School, working to create harmony between the Indonesian Government, the school and the 8 banjars enveloping the school’s location. The Yayasan directs a critical and delicate dance between legal, social & operational practicalities to ensure the school’s survival and success. 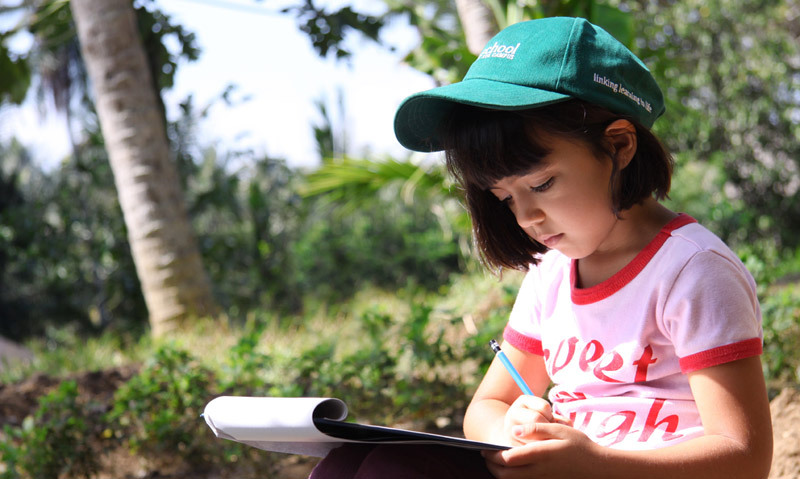 Ibu Ika’s efforts are well supported by Putu Eka, Green School’s Legal Manager. 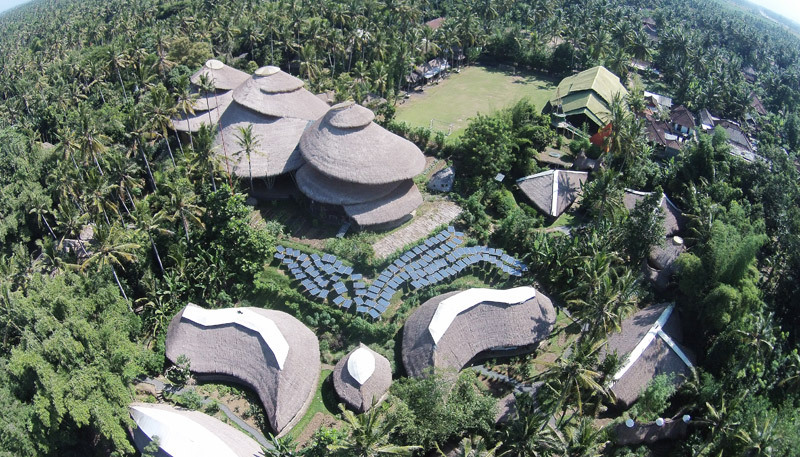 Recognizing the key to the school’s sustainability is trust, Ibu Ika is committed to supporting the school to build stronger relationships with local Balinese, and deeper understanding and appreciation of the local culture and the wisdom of its elders. As artists know, the creative process often runs a recognizable yet unpredictable course. Starting with the thrill of possibility, followed by the torture of doubt, the agony of red-blooded struggle until, at last, the joy of epiphany and the relief and peace in completion. In pioneering innovation in education Green School’s story follows a similar path. First came the heady days of inspired debates and the fun of free ranging exploration of possibilities. News of the Green School project travelled like a ripple out into the world and soon people came from everywhere to participate. A Master bamboo carpenter from Columbia, a permaculturist from Australia, an African musician from Hawaii and passionate educators from all corners of the world descended on Bali to be part of this movement. The right people started to come to Green School just when they were needed. Aldo Landwehr, an American sculptor and designer worked on the project design that became Heart of School. Ronald Stones OBE had come aboard in an advisory role to the project in mid 2006. Frank Olcavary, founder of Bali Hati, and Prof. Jurgen Zimmer, founder of School for Life in Thailand, contributed management and educational expertise as mentors. Alan Wagstaff , curriculum designer and trainer, inspired all involved with ‘Three Springs’, and Buddhist scholar, Brad Choyt helped open the school, enrolling the first 97 students on September 1, 2008. The founders, and the community who had grown with the project, knew then that the work they were doing was important. Green School would provide extraordinary opportunities for both local and international students, and was exactly what their children needed. Experience confirmed that children thrive in beautiful places where life skills are taught through close connections to nature, where they happily learn conventional skills while playing in an environment that encourages ideas to be wild and free. In October 2008 the global financial crisis hit. Suddenly, the bubble burst and Green School’s future was thrown into turmoil. Not only had the flow of funds to build the school disappeared, but those involved were swallowed into the vortex of the hard work required to open the school. Uncertainty pervaded the community. Skeptics thought Green School was merely the whimsical construct of its visionary and idiosyncratic founders – after all, who would take their children to a school made of bamboo in the middle of a jungle on a small island in the tropics? Few saw that building a new school was hard, exhausting, unrelenting and demanding work. It would have been easier for John and Cynthia to quit their plans, especially as the financial investment required continued to grow. And yet they held their course. Still the challenges flooded Green School unabated. The curriculum initially planned for the school was questioned, teachers were struggling to find ways to integrate the diversity of students, including children learning English as their second language and others requiring extensive learning support. International students had come from as many as 40 different countries with enormously diverse education, skills and experience. Living in Bali was not for everyone. The constant heat, humidity and bugs, compounded by the absence of traditional home comforts and unfamiliar tropical maladies saw students, teachers and school leaders come and go. And yet new students kept coming. Being “Green” transcended differences and challenges, and 97 students in 2008 grew to 200 the following year. By late 2009 the first flush of a utopian dream had worn off and spirits had dampened. The school wasn’t as green as everyone hoped, school leaders and teachers who had arrived with zim and zest in their stride succumbed to the huge challenge of a start up, and many Green School pioneers felt disillusioned and frustrated by ongoing, seemingly countless hurdles. Good stories often teach us that dreams seldom come true without courage, commitment and hard work and the first years of Green School were no exception. One stormy night, in 2010, the Ayung River raged and the iconic bridge was ravaged and washed away. Again many feared that the dream of Green School was over, washed away with the bridge. Why and how did Green School survive and flourish? The original vision and the commitment to make it work carried Green School through its fledgling years, with John and Cynthia, the founding teachers and families working side by side to forge ahead. The vision held. At pivotal moments many gave generously to revive the dream, including Roger Hamilton, Chairman of the Board for two years. Roger and others donated the funds needed to rebuild the bridge. Green School became bigger than the sum of its parts. One of the most wonderful surprises of the Green School experience is the discovery of the impact that being at one with nature has on the learning process. This discovery was explored more in the collection of data for a scientific study on the ‘Green School Effect' which verified the hypothesis that the quality of the education experience is significantly enhanced through the development of harmonious relationships, being surrounded by natural green all day every day, the development of greater self-confidence allowing learners to make mistakes and learn from those mistakes, the growth of creative thinking and problem solving in the natural environment, and by providing fresh, local organic food (when possible). 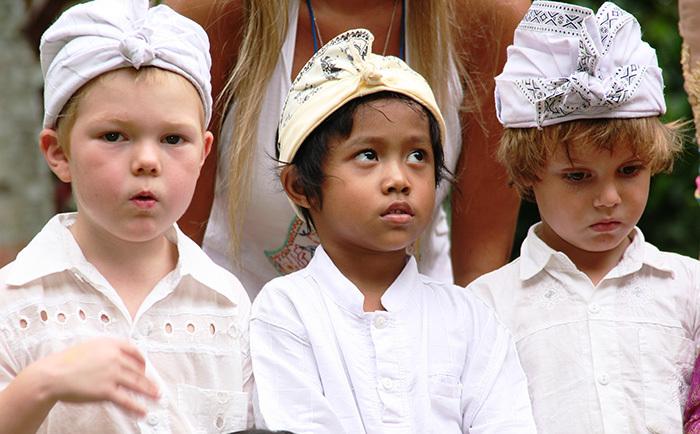 The pioneering families rolled up their sleeves and pitched in, adventurous teachers travelled across the world to contribute their passion and expertise, visionaries brought innovation and guidance and the Balinese opened their arms to embrace this unique project – all played critical roles in the journey. Green School has also been blessed with talented, experienced and passionate contributors. Ibu Jan brought the beloved Marimba and with it a free spirit of organic exuberance that set the tone for the culture of the school; Ibu Kadek, who has been with the Hardy family for eight years, was cooking since planning stages, consistently nourishing us with locally grown ingredients and timeless Balinese recipes; Tim Fijal has been instrumental in the development of the Kul Kul Connection; Alan Wagstaff and his ‘Three Springs’ has inspired the school through numerous incarnations of the curriculum; Ronald Stones OBE came on board as Director and stabilized Green School, regaining community trust with the wisdom and wealth of experience needed to restore confidence. Over the years Kathleen Frye, Andy Dalton and then Steve Milverton stepped in as Principals. 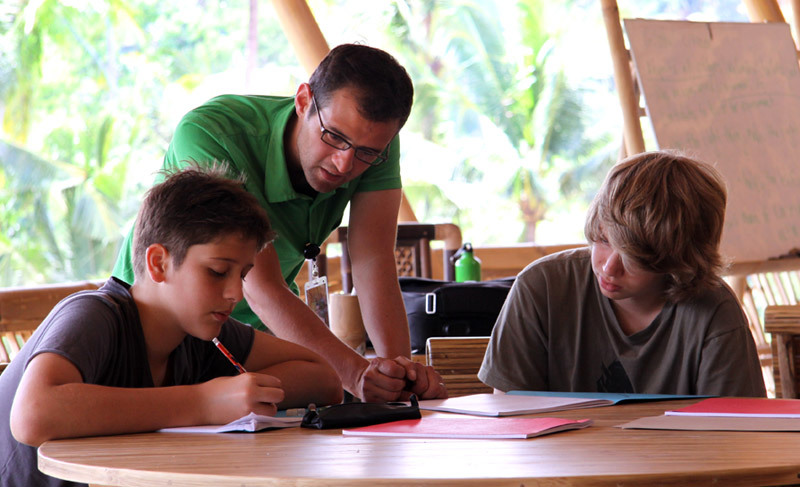 The Cambridge International Examination curriculum was implemented in 2009; Roger Hamilton, who introduced Super Camp to Green School, dedicated two years to his role as Chairman of The Board. Andy Slavin and Chris Thompson took the reins when Ronald Stones OBE moved out of his role and also contributed financially to rebuild the bridge. Andy’s career as Principal at Green School was capped off with a heart felt address to the 2014 graduating class that demonstrated the pride he felt seeing the fruition of his hard work. Chris Thompson, who’d also played a significant role stabilizing the school, maintains an important role in fundraising for Balinese and Indonesian scholars. Through all of this Green School administrative support and maintenance staff came to school every day with the generosity, perseverance and dedication needed to care for the school. Despite struggles and moving goal posts, the creative dedicated teachers delivered enthusiastic and engaging learning experiences, and their passion and commitment worked its magic on the children. The Green School dream was manifesting its own course. The stamina needed to survive the continually shifting curriculum, the regular changing of the guard and the peaks and troughs of the journey have been fuelled by what matters most – happy, flourishing children who love their school and love being at school. And so the school continued to grow with numbers growing to 272 by 2011, 333 in 2013 and now 405 in 2014. Many families have come and gone, and others have stayed. Some have even come and gone and then returned – realizing the true value of the school when they went back into conventional schools – only to realize how much they were missing! 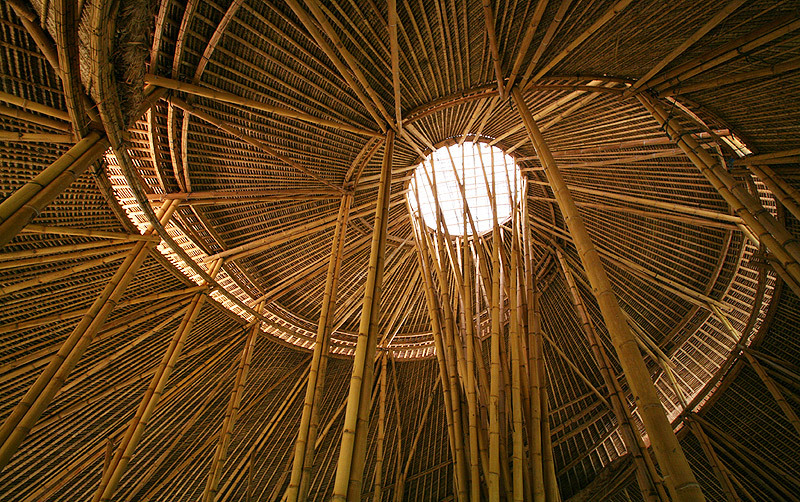 As you walk around Green School you will see mesmerizing bamboo structures, hear music and laughter, observe the free flow of students, teachers and nature, and you can glimpse the experience of the Green School effect - something unique, important and palpable. Anyone still sitting on the fence, not yet convinced of Green School’s success, need only view the Green Stone presentations of the 2014 graduating class. These presentations are the capstones of the each graduate’s high school experience. Green School’s Leslie Medema developed this concept to give high school students the opportunity to stand before an audience and declare that they are leaving Green School with a solid sense of who they are, what they can do and how to communicate this. Watch the presentations and see for yourself. Green School graduates are well rounded and confident and have the skills, compelling desire and passion to make a difference as they enter tertiary education, social enterprise, the arts, trades and business. Our Green School graduates have gained offers into schools, colleges and universities of repute based on both their academic achievements and unique education. Having survived the challenges, acknowledged the accomplishments and flourished from the experience of the journey so far, what happens now at Green School? With the dream in sight, a surge of enthusiasm now initiates the process of refining the vision as momentum is gained with focused, purposeful practice. As Head of School, John Stewart, who joined Green school in January 2014, is a world-class educator and a consummate professional. His qualifications, experience, vision, dedication and skills offer the solid leadership required to facilitate Green School’s pedagogical maturity. With Dennis Heffernan as Chairman of the Board, and John Stewart firmly at the helm, Green School is leading the way in an exciting new approach to education. The Green School model now has the stamina that comes from surviving disruption. It has grown the structures and features that will ensure statutory, financial and physical sustainability. It is dynamic, maturing and growing the grit, consistency and durability required in the ever changing, demanding challenges we face educating our children. It is also a model for continued growth as Green School enters its 7th year with over 400 students and 80+ teaching staff. Tim Lott from The Guardian wrote of Green School, “There is no bullying in this school. There are no uniforms. There is no concern with passing exams. All they want is for children to pass out ‘whole – and ok with themselves … It is interested in what British liberal education was once concerned with – creating a whole human being… I am inspired by Green School in a way that I have rarely been inspired by any institution…there is a different way for our children…the school is real and that dream is real”. Is the courage and fallibility of daring to dream so exquisitely human that we’re drawn to Green School despite and because of the promise and uncertainty? Perhaps the lesson is about the power of shared dreams. Or, perhaps the most important lesson of all is this - place is critical to sustainability. All at Green School are learning that sustainable systems must appreciate the complex relationships between location, architecture, food, culture, society, environment and climate. All of these elements must be balanced and intrinsically connected to achieve sustainability. Green School leaders, families, students and its founders believe we are all working together to build a happy, holistic, meaningful and academically rigorous school and that we are all contributing to the creation of something new, exciting and important. It is these values that continue to underpin the mission and purpose of Green School as they come together to create Green School magic. “When a community comes together around sufficiently powerful and shared values people can come and go without damaging the integrity and overall strength of the school." “One of the best elements of the school is its incredible adaptability and growth potential. From the curriculum and campus to the faculty and families, there is always something new and innovative happening at Green School." Do you want to recommend this entry? Share.